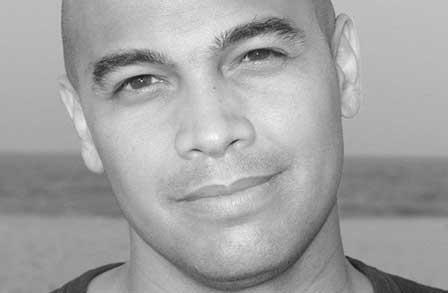 Poet, memoirist, and novelist Jon Pineda earned his BA from James Madison University and an MFA from Virginia Commonwealth University. His first collection of poetry, Birthmark (2004), won the Crab Orchard Award Series in Poetry Open Competition. Selected by Ralph Burns, the book received praise for its complex evocation of memory, childhood, and loss. His other collections include The Translator’s Diary(2008), winner of the Green Rose Prize, and Little Anodynes (2015), winner of the 2016 Library of Virginia Literary Award for poetry. Pineda’s memoir, Sleep in Me (2010), was a Barnes & Noble Discover Great New Writers selection, a Library Journal Best Book of 2010, and a Publishers Weekly “Indie Sleepers” Pick. He is also the author of the novels Apology (2013), which won the Milkweed National Fiction Prize, and Let’s No One Get Hurt(2018). Pineda’s honors and awards include a Virginia Commission for the Arts Individual Artist Fellowship. He has taught in the Kundiman Asian American Writers Retreat, the low-residency MFA program at Queens University of Charlotte, Old Dominion University, and the University of Mary Washington. Currently, he teaches creative writing at the College of William and Mary and lives in Virginia with his wife and children.